This prestigious publication needed to stand out from the crowd. 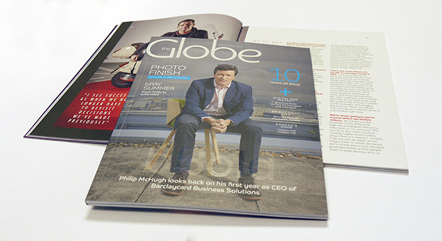 The designer specified that the magazine should be printed on different substrates throughout. The results of a photographic competition were showcased across a 16 page sub-section and to replicate the high quality of these images they were printed on a premium grade gloss paper. Other sections within the book were printed on a recycled uncoated paper to reflect the environmental credentials of our client. The cover pages were then laminated in a satin laminate and then the title was hi-lighted with a spot UV varnish.